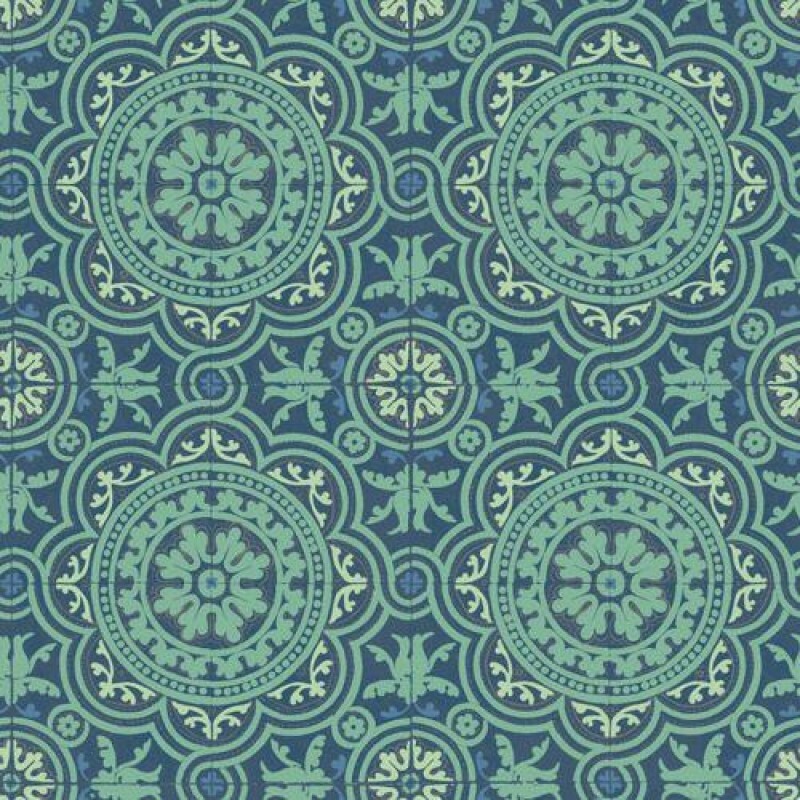 Blue and green geometric patterned tile wallpaper. This detailed patterned paper would be great in a bathroom, kitchen or hallway floor tile. It could even be used as a shop tile, reminiscent of a certain 'food hall' perhaps.